All I can say is YUM! There is no flour, no butter, no eggs, no milk, just healthy deliciousness. 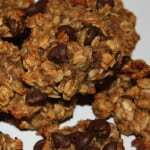 There are lots of this style Vegan Banana Oat cookies out on the web, I wanted to try one but didn’t have all the ingredients at hand for any one of the recipes I found. So, I made this one up and I love it. This is going to become one of my favorite ways to use ripe bananas. 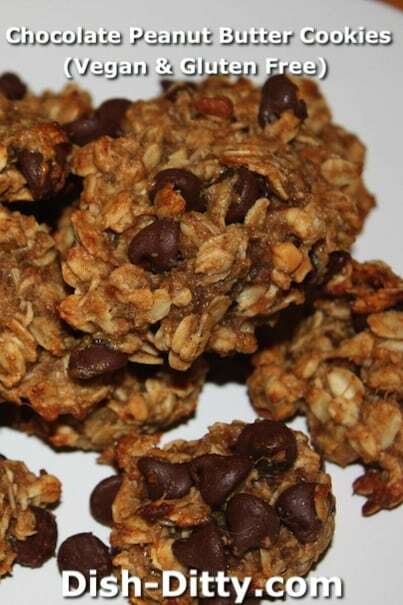 Because this recipe uses honey and chocolate chips, it’s not Sugar Free. 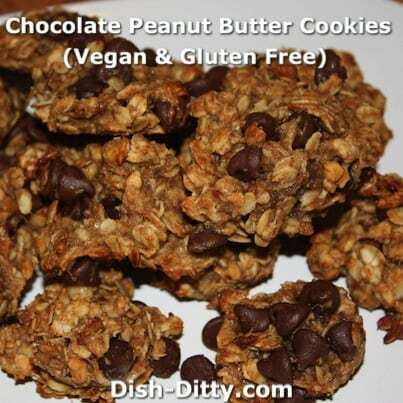 Variations: Adjust to only use 2 cups of oats for a chewier cookie. Preheat oven to 350 degrees. 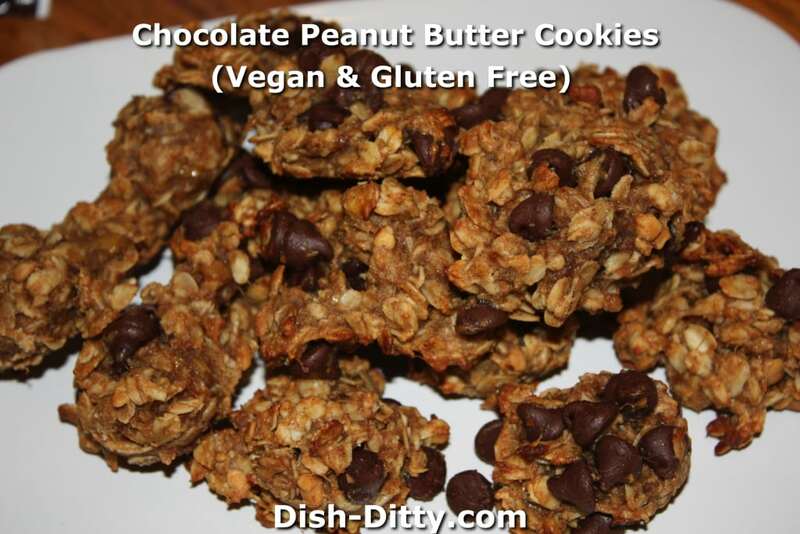 Place parchment paper on cookie sheets. Mash bananas in medium sized bow. Mix in peanut butter, oil, vanilla, cinnamon, nutmeg and honey. Add flax seed and oats and mix well to combine. Mix in chocolate chips. Drop about 2 tablespoons of cookie batter onto parchment paper on cookie sheet, about 1 inch apart. Bake at 350 degrees for 12-14 minutes. Remove from oven and cool. Eat! 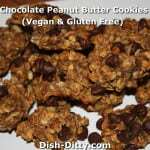 No Replies to "CPBB Cookie Recipe (Chocolate Peanut Butter Banana – Gluten Free & Vegan) Recipe"